You are here: Home » MEDIA » Films » The Silence (Netflix horror movie: trailer). The Silence (Netflix horror movie: trailer). 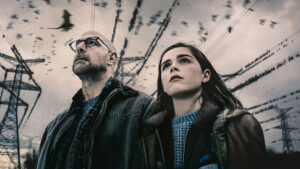 The Silence is a SF-horror film starring Kiernan Shipka and Stanley Tucci, a movie that is based on the 2015 excellent novel of the same name by Tim Lebbon. It’s hitting Netflix on April 10th 2019. « The Society (Netflix YA scifi series).